Illustration of a contract icons. Flat signing contract icons on rounded square color backgrounds. Set of 8 different Real Estate icons. Set of 9 different law and justice icon illustrations. 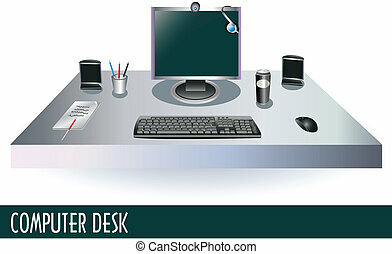 Illustration of a computer on a desk.